Judith had been lovers with Eric, her former business partner. There was a breakup. Eric was now with another woman. Judith told me she had also been abused by her father. She let me know she hated both her father and Eric. Judith was using her considerable wealth to go after Eric in litigation. There was a palpable silence. Judith had never really thought of this way of leaving Eric. Things seemed to change for the better after this moment. Judith was beginning to see a path to detachment from Eric and a way to move on. 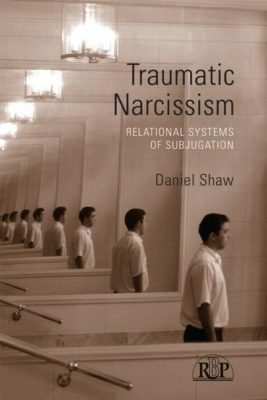 In Traumatic Narcissism, Shaw discusses common emotional strategies people use to deal with the psychological residues caused by traumatizing narcissists, including narcissistic parents. What Shaw does embrace as a solution is to “bear the pain” but to move toward detachment, to inner freedom from the traumatizer. He suggests the process of detachment occurs when the patient has simply processed his or her childhood issues to the point where they are no longer troublesome. Perhaps they even become boring. I think there is a parallel between what Shaw calls detachment and the fruits of somatic trauma work. Thus, healing happens when the traumatic triggers no longer trigger us anymore, not when we try to make a situation “right” which was never right to begin with. Although the emphasis in systems such as Somatic Experiencing is on somatic processing, it is also coupled ideally with a relationship between the practitioner and the client which is supportive and attuned. Thus, it implicitly helps to develop the client’s newly emerging sense of self. Although Shaw is famously an expert on cults, and discusses them in his book, he does not specifically bring spirituality into his discussion of “emancipation.” But of course freedom and emancipation are core values in many spiritual traditions. Nonidentification is also the root of many meditation practices, such as mindfulness practices in which one disengages from thoughts to remain focused on presence. In spiritual practice, the second aspect of emancipation that Shaw identifies— the ability to form a new, autonomous self and to engage “intersubjectively” with others — is often given short shrift. The result, as I have explained here, is a tendency toward cult-like or unproductive self-abnegation. This is unhealthy. The denial of the self also often renders spiritual practitioner’s attempts to realize their good intentions in the world ineffective. For example, the reader might assume that what I said to Judith was the important part of the story above. It was not. What I said came through to her because a palpable bond had formed between us — a type of attachment that can and does occur fairly often in mediation when parties are open to it. It was, however, also important that I was not recommending “forgiveness.” I was directly discussing the value of detachment, which it turned out was what she really needed. Also, although I felt compassion, I was certainly not attempting to be “compassionate.” She would have hated that. Rather this was more of a discussion between equals. This made everything else possible. This tension between our attachments and our need to differentiate and separate (“uncouple” if you will) is one of the mysteries we negotiate most or all of the time. True “detachment” is necessary for “emancipation” to take place. Once we begin to achieve even a small level of detachment, we hopefully become able to re-couple (my word), to form new lives and possibly new attachments. Or at least, hopefully, we become more able to resolve our conflicts from a place of realistic resolution,7 where we focus on our own best interests, not our reactivity. See Daniel Shaw, Traumatic Narcissism, Relational Systems of Subjugation, Routledge 2014. As always on this blog, the facts of this story have been changed to preserve confidentiality and protect parties. I put forgiveness in quotes here because what Shaw objects to, is in effect, a false type of forgiveness which is actually an attempt to bypass one’s genuine reactions to the abuser. See Shaw, pp. 93-94. See Traumatic Narcissism, p. 106. Trauma arises when one’s human immobility responses [related to trauma] do not resolve; that is, when . . . the immobility reaction becomes chronically coupled with fear and other intense negative emotions such as dread, revulsion and helplessness. After this coupling has been established, the physical sensations of immobility themselves evoke fear. My experience, . ..working with so many . . . traumatized clients, has taught that the very key to resolve trauma is being able to uncouple and separate the fear from the immobility. Peter A. Levine, PhD, In an Unspoken Voice, How the Body Releases Trauma and Restores Goodness, North Atlantic Books (2010), pp. 67-68 (first quote) and p. 56 (second quote); italics in original deleted. I have spoken elsewhere in this site about my disapproval of certain aspects of Gurdjieff’s conduct with students. See my article on the Psychology of Spiritual Groups. I intend to write further on this point as well. Elizabeth: I think your clients are deeply fortunate. I found this summary useful and inspiring. In my own experience with a narcissistic ex-husband, my ability to detach was thwarted by co-parenting (and access allowing for parental alienation) and his ability as an attorney to manipulate the legal system to eventually gain custody of our daughter. Despite his death, the effects linger in the deeply affected relationship with my daughter in adulthood. Not all outcomes are those we would wish. Such a great blog, Elizabeth. I agree that a state of detachment is a great aspiration for those who struggle with letting go of the ending of toxic relationships…including intimate relationships, friendship relationships, and professional relationships. People often believe “love” and “hate” are opposites, but I would argue that they actually have a key component in common….they both involve strong emotions. I believe “love” and “detachment” are opposites, as the latter reveals that strong emotions are declining, or are no longer present. Getting to detachment is not an easy process, as it takes time, support, and hard work. As a mental health clinician, I suggest that a detachment mindset can be achieved with the assistance of a qualified, empathic provider (therapist) who is able to adapt to the client’s preferred style of treatment. The type of treatment is less important than the relationship between the provider and the client. The provider should able to effectively support and guide a client through this difficult process. For many, it is possible to establish an all new, amicable relationship with those whom we “once hated,” once we accept the notion of emotional detachment, also known as emotional freedom. Thanks so much Elizabeth…right on the money….detachment seems like just the right intervention in the situation I was telling you about. My sense is that it would go a long way in dissolving the original trauma and trigger sequelae. Your work in connecting dots is as usual lovely to read and experience. The gift for your client of course was not only resolving the case but also the emotion of holding all that anger which clearly was attached to her father.It also likely served to spare Eric some of the anger she had toward her father that was projected onto him. A truly successful mediation at many levels. A great example of doing much more than resolving a legal case. Another issue raised by feedback I received on social media is the question of how do people actually develop their new, nascent sense of self after detaching from a traumatizing situation, particularly one involving a traumatizing narcissist? Shaw discusses this development of the self as a natural outgrowth of psychoanalytic therapy. I think there are spiritual practices which encourage a truer, deeper sense of self. Unfortunately there are some that negate the ordinary sense of self before people are ready also. I so appreciate your thoughts, as always. As you said, by encouraging your client to detach, rather than rage, you offered her an alternative meaningful approach to the conflict. How amazing that she could be so responsive; for many, the process of healing from narcissistic abuse, requires considerable time to dis-identify as a victim, and titrate the hidden emotional wounds, which give rise to the triggers. Your skillfulness and the foundational relationship you had with her were undoubtedly strong. I would love to hear more about your perspective on how much the mediator says, beyond this. Would you share with this client, your wisdom about trauma? Would you refer her to a somatic experiencing counselor, to do the second stage of work, on reintegrating and becoming a coherent self? I would love to hear your perspective on that second stage. Perhaps the mediator doesn’t get involved in that, but it seems as if our whole culture may need it soon. Thank you Cheryl for your profound questions. I am a big believer in staying in role. So while I have been looking into having one or more trauma therapists work with me directly in some kind of co-mediation or other approach, I don’t think I would urge clients to chose a particular type of therapy that I myself approve of unless they were interested on their own in this approach — or possibly I had advertised it in advance as part of my practice. I don’t have fixed rules about what to say or not say. But I don’t think anything that could be construed as pushing my own views would be appropriate in mediation. And I don’t think broad categories are too helpful, often, in dealing with problems. Yet, there can be times when information about trauma might be welcome or useful. Everything depends upon the relationship, as you know so well from your own work. Respect is the key. The magic key which opens doors. Thanls for the Blog, Elisabeth. This approach is a modification of the great shift in consciousness that is taking place in the world today. We are discovering and exploring “who we are”–in the inside. When I know I am not my name, not my body, not my mind, not my emotions, not my thoughts, etc. then we can get down to seeing we’re Consciousness. or Awareness, and can detach from pain and trauma, etc. It helps to experience this when we know consciousness is not sourced in the mind/body, but the mind/body is sourced in Consciousness–which we are!!! Thank you so much for this blog. I agree that hatred (and litigation) is a painful strategy to deal with the aftermath of a traumatic relationship and that leaving the relationship is a good first step. I also agree that healing the childhood wounding brings much inner resolution and lessens the hurt of the current- time betrayal. I would add a last step for myself, which is owning my part in the current relationship breakdown. When I accept my own humanness and culpability (even if I felt victimized), I am less likely to “cast stones” and true forgiveness for myself and other arises in the form of Grace. Having a mediator, mentor, or growth group witness with compassion the “owning” when its not possible to repair with the other can be a really supportive part of the healing process. I agree that litigation should be used sparingly, perhaps only to keep a repeat offender causing more harm to others, not for vengeance. I look forward to more of this kind of blog! Much healing is happening here since our last conversation! Wonderful points Peggy. As you say, our communities or a mediator or mentor can play an essential role in healing trauma. Through positive “social engagement” our nervous systems heal. Alas, this is why when one does not have a community, or leaves a community, it makes the trauma so much more difficult as one is on one’s own. This is one of the difficult parts of leaving groups. Owning one’s own part in the breakdown is also very deep work. Perhaps not all can do it, but for those who do they area more likely to find the past will not repeat. This is such important work. Although I do not know, I like to think blessings may be a part of it too.